Last week came news from Seabourn that it would be sending the Seabourn Quest to the Antarctic in 2013/14. This is a first for the line, although its now parent company Holland America Line, has been sending ships to the Antarctic for some time now. The difference is that Seabourn will make actual landings, instead of just cruising by. The surprise news also broke over the weekend that Voyages of Discovery will be chartering its Discovery to Cruise & Maritime Voyages as a replacement for the Ocean Countess. Voyages of Discovery, meanwhile, will take delivery of its newly-refitted single-sitting Voyager in early December. 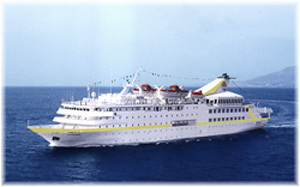 Finally, Plantours is planning to return to the Antarctic in 2013 with its newly acquired MS Hamburg. 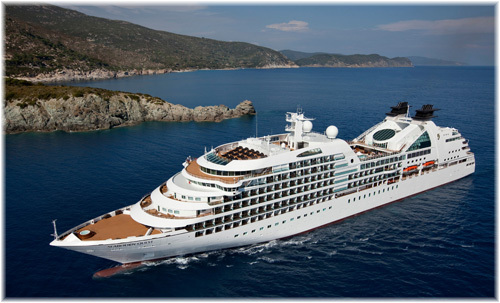 Seabourn plans to extend its cruise destinations to include Antarctica for the first time in 2013. Seabourn Quest, the line’s newest ship, will offer a series of four 21- to 24-day voyages sailing between Valparaiso, Chile and Buenos Aires, Argentina beginning in November 2013. 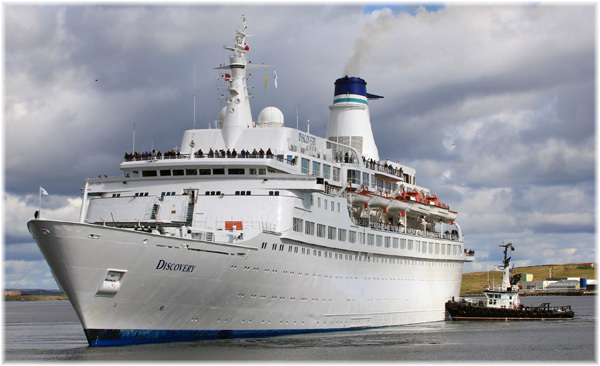 The news broke last week that All Discovery Cruises would be chartering its 700-passenger Discovery to Cruise & Maritime Voyages, who will use the ship beginning in February 2013 to offer cruises in Northern Europe, the Med and the Black Sea. She completes her last Voyages of Discovery cruise next month, after which she will go for a previously-planned month-long refit before delivering to Cruise & Maritime Voyages. Discovery will remain a two-sitting ship for meals and certain other on-board changes will also be evident (for example, gratuities will now be extra). All Leisure Group, owners of Voyages of Discovery and Swan Hellenic, as well as Hebridean Island Cruises (and since May Page & Moy), lost £11.2 million during the first half of this year, so the charter of the Discovery to Cruise & Maritime will not only mean that the ship has a continued revenue stream, but Voyages of Discovery will have 23% fewer berths to fill on the Voyager rather than having to add yet another ship in harsh economic times. Following in the wake of Plantours’ Vistamar in past years, its latest vessel, MS Hamburg, will also be offering a series of Antarctic cruises in 2012/13. The Hamburg will offer three Antarctic cruises this winter, varying from 11 to 16 nights. 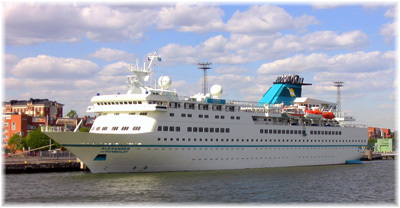 The MS Hamburg was renamed in her namesake city of Hamburg on June 7. Formerly Hapag-Lloyd’s Columbus, her capacity has been reduced slightly, from 420 to about 400 passengers.